The fourth day of arguments began today or unlawfulness or otherwise of the dissolution of Parliament. Until the marathon session ended at 7:00 pm, no one knew that today was the final day. Yesterday the Respondents had their say as was reported here. Three or more respondents needed their turns to speak to their objections today and that is how the day began. Samantha Ratwatte, V. Chocksy, Ali Sabry and Chrishmal Warnasuriya spoke today for the Respondents. After that, the attorneys for the Petitioners began giving their counter objections. 126. (1) The Supreme Court shall have sole and exclusive jurisdiction to hear and determine any question relating to the infringement or imminent infringement by executive or administrative action of any fundamental right or language right declared and recognized by Chapter III or Chapter IV. 17. Every person shall be entitled to apply to the Supreme Court, as provided by Article 126, in respect of the infringement or imminent infringement, by executive or administrative action, of a fundamental right to which such person is entitled under the provisions of this Chapter. Senior Lawyer K. Kanag-Isvaran, PC, representing R. Sampanthan was the first to go. He had some gentle digs at poorly trained lawyers and those who engage in threats while turning each time very imperceptibly towards Manohara de Silva who had indulged in near-naked thuggery yesterday threatening aggression against Kanag-Isvaran outside court. Saying this Kanag-Isvaran bowed gently at de Silva. That gentle rebuff made Kanag-Isvaran stand very tall. Thereafter Kanag-Isvaran simply stated that he would not repeat what had already been said by others and would confine himself to the two issues, first of whether a fundamental rights petition was out of the jurisdiction of the Supreme Court (as raised by Manohara de Silva and others) and secondly the issue of the Sinhalese version of the Constitution in case of conflict prevailing with the Tamil version. Kanag-Isvaran did a careful and exhaustive review of the constitution and the jurisdiction of the Supreme Court. A review like the one here cannot do justice to his arguments – different aspects of which were supplemented next by M.A. Sumanthiran and Thilak Marapona. In essence, he showed that dismissing Parliament is an executive action. He showed why even the conferment of PC status could be challenged if the person being made PC was unqualified or of poor character while better others deserving to be made PC were denied discriminatingly. Briefly touching on the translation issue he said he is not competent in Sinhalese but would assure the court based on his consulting friends that the Sinhalese version was not different from the English or Tamil. He said this would be addressed in detail by Sumanthiran. 23. (1)All laws and subordinate legislation shall be enacted or made and published in Sinhala and Tamil, together with a translation thereof in English. Provided that Parliament shall, at the stage of enactment of any law determine which text shall prevail in the event of any inconsistency between texts: Provided further that in respect of all other written laws and the text in which such written laws were enacted or adopted or made, shall prevail in the event of any inconsistency between such texts. Sumanthiran emphasized that the word text rather than language had been used. Drafters and judges work with English. That is why no one had noticed that the Sinhalese version of Article 70 had an extra sentence. (Later Justice mark Fernando’s son, Suren who was the youngest to speak followed by Hejaaz Hizbullah). The justices were mum, neither denying nor accepting that they worked with English texts. 11. No person shall be subjected to torture or to cruel, inhuman or degrading treatment or punishment. This he pointed out is lifted straight from Article 5 of the 1948 Universal Declaration of Human Rights. Thus Section 11 of the constitution was never drafted by us. It is a copy from international instruments. This shows the primacy of the English version. 62. (2) Unless Parliament is sooner dissolved, every Parliament shall continue for five years from the date appointed for its first meeting and no longer, and the expiry of the said period of five years shall operate as a dissolution of Parliament. Provided that at any time while Parliament stands prorogued the President may by Proclamation – (i) summon Parliament for an earlier date, not being less than three days from the date of such Proclamation, or (ii) subject to the provisions of this Article, dissolve Parliament. (5) (a) A Proclamation dissolving Parliament shall fix a date or dates for the election of Members of Parliament, and shall summon the new Parliament to meet on a date not later than three months after the date of such Proclamation. (b) Upon the dissolution of Parliament by virtue of the provisions of paragraph (2) of Article 62, the President shall forthwith by Proclamation fix a date or dates for the election of Members of Parliament, and shall summon the new Parliament to meet on a date not later than three months after the date of such Proclamation. (c) The date fixed for the first meeting of Parliament by a Proclamation under sub-paragraph (a) or sub-paragraph (b) may be varied by a subsequent Proclamation, provided that the date so fixed by the subsequent Proclamation shall be a date not later than three months after the date of the original Proclamation. The word harmonious interpretation of all sections, everyone agreed was essential. However, agreement stopped there. The Petitioners insisted that their interpretation was wholesome and harmonious. Article 33(2)(c) said the President had the power to dissolve Parliament. Article 62(2) said the normal period of a Parliament is 5 years but it may be dissolved sooner. Article 70 said any dissolution by the President can be only after the first 4.5 years or after a resolution by 2/3 of members. Article 70 in its subsequent sub-sections states what the President has to do in case he decided to dissolve Parliament – such fixing a date for elections etc. There is no inconsistency. This interpretation is harmonious. The Respondents on the other hand, see these as standalone sections. Article 33(2)(c) lets the president dissolve Parliament any time. Article 62 in saying “Unless Parliament is sooner dissolved” means it may be dissolved any time before 5 years are up. Article 70 is stand alone, telling the President what he as to do when dissolving. They did not explain why they use a part of 70, while ignoring Section 70 (1) setting the 4.5-year minimum period. The lawyers for the Respondents were poorly coordinated in later speakers repeating earlier ones and losing the focus of the hearers. Perhaps because of today’s rush, the Petitioner’s’ lawyers mostly stuck to 20-minute speeches as the day wore on. It is for the judges to choose either explanation. By lunchtime today heavily armed policemen were in the Supreme Court while the Special Task Force was in the court grounds. Judgment seemed imminent. However, the arguments lasted till 7:00 pm. Jayampathy Wickramaratne, Viraj, Suren Fernando, J.C. Weliyamuna, Viraj Corea, Mohammed Ikram and Hejaaz Hizbullah spoke. The stay order ending yesterday had been extended by a day to today. Now it has been re-extended to Monday. The justices only said they would notice the lawyers for when the judgment will be delivered. It is widely believed that judgment will come on Monday or Tuesday the latest – the notice it is speculated will be a literal notice on the court’s noticeboards rather than personal delivery which will take days. President’s Counsel Sanjeeva Jayawardena in his submission stated that what the Petitioners invoke to the Court is to distort the Constitution virtually to cannibalize it and to take away the check and balance by removing the power of dissolution of Parliament by the President. Counsel Jayawardena appearing for Intervenient Petitioner Prof. G.L.Peiris of the Sri Lanka Podujana Peramuna (SLPP) made his submission before the Supreme Court Bench of seven judges on the fundamental rights petition against the declaration of dissolution of Parliament by President. Ten fundamental rights petitions against the declaration of dissolution of Parliament came up before the Bench Comprising Chief Justice Nalin Perera, Justices Buwaneka Aluwihare, Sisira J de Abrew, Priyantha Jayawardena, Prasanna S. Jayawardena, Vijith K. Malalgoda and Murdu Fernando. President’s Counsel Jayawardena continuing his submission said they are doing so by invoking merely a proviso and to ignore main substantive Articles 62(2) and 33(2)(C ) of the Constitution which goes to substantiate the power to President to dissolve Parliament. Petitioners wrongfully advocated the cannibalization of the Constitution and virtually extracting the teeth of the power of the President engaging in the process of surgical transplant of the mere proviso in a complete different Chapter of the Constitution and transpose that proviso artificially to a different Chapter of the Constitution, he said. It also makes a mockery of the sovereign right of the people vested in the President to use the process of dissolution in a fit case by as check and balance of Parliament, he stated. This is important in a situation where there is a complete breakdown of Parliamentary function as well as irresolvable impasse and a total breakdown of governance which ultimately affects the people of the country and constituency, he added. Only way to resolve to resolve the crisis is to re-impose the franchise of the people by directing the conduct of a general election for the governance can duly resume otherwise ultimately the people not the politicians who are affected, and the people can be made to suffer the breakdown of governance, he said. There were 10 fundamental rights petition filed against the declaration of dissolution of Parliament by the President. Five sought to intervene to counter the main petitions. Petitions seek a declaration that proclamation of dissolving Parliament infringes the fundamental rights. They ask the Court for a declaration that the decisions and/or directions in the proclamation is null and void ab initio (ineffective from the beginning) and of no force or effect in law. K.Kanag Iswaran PC, Thilak Marapana PC, Dr Jayampathi Wickremaratne PC, M.A.Sumanthiran PC. Viran Corea, Ikram Mohamed PC, J.C.Weliamuna PC, Ronald Perera PC, Hizbullah Hijaz and Suren Fernando appeared for the petitioners. The President could dissolve Parliament under Article 62/2 despite the 19th Amendment, said Sanjeewa Jayawardena P.C., in the Supreme Court, when he supported an intervenient petition in support of the dissolution of Parliament by the President. President’s Counsel Jayawardena said that Article 62/2 referred to the dissolution of Parliament by the President before the prescribed period. Despite the 19th Amendment to the Constitution the Article 62/2 was effective. President Chandrika Kumaratunga in 2000 had dissolved Parliament under the Parliamentary Election Ordinance and fixed the date for summoning under Article 70/5 Section 10/2 of the Parliamentary Elections Act, Jayawardena said, adding that the President should make only an order in the Gazette. When dissolution was premature, Section 10 of the Parliamentary Election Ordinance, could be made use of. Jayawardena PC said that Article 125 stated that the Supreme Court could interpret the Constitution, but could not transplant a view. Article 70 was on the legislative power of the people exercised by the Parliament. The executive power of the people should not be rendered impotent, he argued. The Counsel said if President dissolved parliament prematurely, under Article 62/2, he resorted to Article 70/5/b to set the date of the poll. Manohara de Silva P.C., supporting an intervention petition said that, after the 19th Amendment to the Constitution, under Article 62/2 President could prematurely dissolve Parliament. Article 70/1 had four provisos, a, b, c, d. The 19th Amendment removed provisos b, c, d. Only proviso (a) remained. If the Appropriation Bill was rejected for a second time, the President could dissolve the Parliament, he argued. The bench comprised Chief Justice Nalin Perera, Justice Buwaneka Aluwihare, Justice Sisira De Abrew, Justice Priyantha Jayawardene, Justice Prasanna Jayawardena, Justice Vijith Malalgoda and Justice Murdhu Fernando. Today saw the third day of argument on the 11 cases regarding the dissolution of Parliament. A judgment was scheduled for tomorrow 7 Dec. The first two days were most interesting as the lawyers for the Petitioners made their arguments. Their arguments were principally that Article 33(2)(c) gave the President the right to dissolve Parliament and Article 70 listed the conditions for such dissolution. These conditions were not fulfilled. There was no contradiction between the two articles – just like the law that one must possess a driving licence to drive a car, being circumscribed by other laws which stated the conditions, such as driving on the left-hand side of the road. So also the whole constitution had to be read as a whole, all parts working harmoniously together and not section by section in isolation. Elections must follow the rules of the constitution and cannot be held at any time. The people had exercised their franchise and given the present Parliament 5 years to govern and the constitution did not allow dismissal of Parliament within 4.5 years. Even the mother of Parliaments in the UK has recently changed over to a fixed term. This was followed by lawyers for the Respondents who gave their objections. Returning to the driving licence analogy, in an emergency, an ambulance may drive on the wrong side of the road, and what was facing Sri Lanka was an emergency where Parliament was behaving irresponsibly and the President had to exercise his job function of saving the nation by dismissing Parliament. Ultimate responsibility is through the people’s franchise and that is what the President was upholding in dismissing Parliament and calling for elections. What is wrong with going to the people when their franchise is their fundamental right? The objections by the respondents began yesterday and dragged on. Without coordination, almost all of them repeated the same arguments, except, to his credit, Gamini Marapana PC who cut it shot by saying he associated with what the AG and others said (His brother Tilak Marapana also appeared but for the UNP). As boredom set in on the third day as the Respondents’ lawyers began repeating themselves, two events set some spark into the hearings. 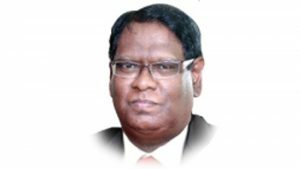 Attorney Sanjeeva Jayawardena, PC, for one of the Respondents claimed that Article 70 of the Sinhalese version of the Constitution had an extra sentence and that the Sinhalese version should prevail and it made all the difference. He said that it imbued Article 62 with a new meaning allowing the president to dissolve Parliament any time. This shook up many who were listening. [However, although there really is an extra sentence in the Sinhalese version of Article 62 which most were unaware of, there is really nothing about any time in that extra sentence, so it became a mere restatement of Article 33(2)(c) saying the president could dissolve and prorogue Parliament]. There was a lot of back and forth and Sanjeeva’s brother on the bench, Justice Prasanna Jayawardena, questioned his brother the most from the bench and even clarified that Sanjeeva’s comments on repercussions at home through filing the case did not refer to Prasanna’s home but to Sanjeeva’s. Laughter followed. When Sanjeeva spoke of repercussions at home and until this clarification, almost everyone assumed that brother Prasanna had found fault with Sanjeeva at home for getting involved. Sparks flew when lawyer Manohara de Silva representing Pivithuru Hela Urumaya’s Udaya Gamanpilla spoke picking up the points of Sanjeeva Jayawardena. The law cannot be read by this Court as a rigid formula but must be interpreted keeping in mind the consequences of their decision. If the judges find for the Petitioners there can be violence. To many in court, it was spine chilling and a threat to violence for going against the President, but the court was still, seemingly impervious to any emotion. Many who were sure of a right decision until then were no longer sure after this interjection of political threat wondering if the justices would rule for the President fearing repercussions. Something seemed to snap in Manohara de Silva he reacted to the interruption. He angrily said “If you want to be aggressive, we too can be aggressive. Not in this court where some order is required but in a forum outside.” That from the Urumaya to the Tamil Sampanthan’s Tamil lawyer! Again chilling but the justices, all Sinhalese, seemed not to notice. An unnecessary blot on an otherwise well-conducted case. Two more Respondents will present tomorrow seventh and the Petitioners will make their oral Counter Objections. The judges then need to write out their judgment. Will there be time for the judgment tomorrow? Was the true picture not given because the arguments are demoralizing to the petitioners? President’s Counsel K. Kanag Iswaran yesterday countering the arguments of the respondents and the intervenient petitioners underlined the fact that the immunity conferred on the Executive President was only on his person and not on his acts or actions. Kanag Iswaran PC appearing for TNA Leader R. Sampanthan said this before the seven-judge of the Supreme Court which took up for hearing the fundamental rights petitions against the dissolution of Parliament by President. Ten fundamental rights petitions against the dissolution of Parliament came up before the Bench comprising Chief Justice Nalin Perera, Justices Buwaneka Aluwihare, Sisira J de Abrew, Priyantha Jayawardena, Prasanna S.Jayawardena, Vijith K. Malalgoda and Murdu Fernando. Kanag Iswaran PC said he did not propose to deal with the jungle of arguments of single instances put forward by the various respondents, on account of time constraints. He said President’s Counsel Sanjeewa Jayawardene and the other Counsel of a similar persuasion had sought to submit to Court their interpretation of the relevant constitutional provisions on the basis of the Sinhala text of the Constitution. Counsel said not being competent in that language, he had requested President’s Counsel Thilak Marapana and the other Counsel for the petitioners, to deal with that aspect. He informed Court that they assured him that the Sinhala version was in no way different to the English version and that he knew for a fact that the Tamil version was no different either. Dissolution of Parliament by the President does not constitute executive or administrative action, falling within the purview of Article 126 of the Constitution. He said the objection premised on Article 38 (2) was concerned and that it was clear that the said objection was based on the supposition that Article 38 (2) operates as an ouster of Articles 17 and 126 vis-à-vis the Fundamental Rights Jurisdiction of the Supreme Court. Counsel said one section of the Constitution could not oust another section of the Constitution. The Constitutional jurisdiction of the Supreme Court to grant relief for the infringement of Fundamental Rights by the Executive or Administrative action could not be ousted in the absence of a Constitutionally or valid derogation from that jurisdiction he pinpointed. He said Ex facie the Constitution such an ouster cannot be validly asserted. He brought to cognizance that a total ouster is found in the interpretation section of the Constitution, namely, Article 154J (2) Public Security. making thereof, or the existence of those grounds or any direction given under this Article. of functions of a judicial nature. No court or tribunal or institution shall have jurisdiction to determine the question whether a person is a judicial officer within the meaning of the Constitution but such question shall be determined by the Judicial Service Commission whose decision thereon shall be final and conclusive. No act of such person or proceeding held before such person, prior to such determination, shall be, deemed to be invalid by reason of such determination. Kanag Iswaran PC said the above ouster clauses seek to even exclude the Fundamental Rights jurisdiction of the Supreme Court and maintained that therefore, Article 38 is no ouster at all. He said the petitioner is well within his rights to have invoked Articles 17 and 126 of the Constitution because it is an acknowledged principle of law that there is no justification in law for holding that only one of the available remedies can be availed of and that the other consequently stands extinguished, nor can it be contended that the aggrieved party be confined to only one remedy. He further said that passionate presentations were made on the question of the sovereignty of the People and the franchise of the People and the obligation of the President to heed that and for the Supreme Court to take note of that fact. He mentioned that in passing that, the sovereignty of the People and who the depositories of that are is to be seen in Article 4 and that the Article 4 (a) provides that the sovereign legislative power of the People is in the Parliament and that the Article 4 (b) provides that the sovereign executive power of the People is in the President. He maintained that therefore under the Constitution that the President cannot interfere with the legislature except as strictly provided by the Constitution. The dissolution of the legislature must therefore strictly be in terms of the Constitution and the President is not a Monarch, he too is a creature of the Constitution. It is settled law that the official acts of the President constitute executive actions, he said. He submitted that the concept of executive and administrative action is much wider than executive power. He stated the Petitioners invoked a right given to them under Article 17 read with Article 126 read together with the proviso to Article 35 (1). In terms of the proviso anything done or omitted to be done by the President, in his official capacity are in fact executive or administrative acts in terms of Article 17 and, therefore, the reference to Article 126 is made in the said proviso, he stressed. The contention of the Attorney General that the President’s act is not executive or administrative action is in terms of the Constitution wholly untenable, he contended. The issue of dissolution which the Supreme Court is called upon to decide is not justiciable because it is a political question, he claimed. He recollected that another interesting, if not intriguing, the submission was about a legislative driven process and an executive driven process. This description, curiously, lays emphasis only on the driver and forgets the vehicle, which is Article 70 (1), he said. Without the vehicle, the driver cannot move. Whether legislative driven or executive driven, you need to have a Proclamation, he stated. decipherable from the constitutional silence, he said. Its inherent dynamism makes it organic and therefore the concept of constitutional sovereignty is sacrosanct. It is extremely sacred as the authorities get their powers from the Constitution and nowhere else. It is the source, that is the supremacy of the Constitution, he highlighted. He reminded that passionate speeches had been made, mostly political, warning the Supreme Court of the impending dangers and the like if the dissolution is not upheld. It went as far as calling the challenge to the dissolution as terrorism, he said. He recall the words of Dr Ambedkar: I feel that the constitution is workable; it is flexible and it is strong enough to hold the country together both in peacetime and in wartime. Indeed if I may say so, if things go wrong under the new Constitution the reason will not be that we had a bad Constitution. What we will have to say is that Man was vile. There was 10 fundamental rights petition filed against the declaration of dissolution of Parliament by the President. Five sought to intervene to counter the main petitions. and of no force or effect in law.